A couple of dates I thought you might want to put down your diary. 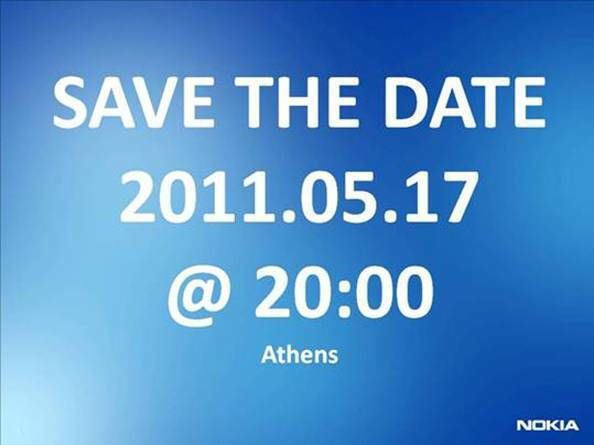 The first one (seen above) shows that Nokia maybe holding supposed event maybe in Athens on May 17th. But at 8PM? That makes it 6PM GMT which isn’t all that bad if you consider this is usually the time that we get all excited here for the noonish USA based Apple keynotes -_-. The last time Nokia put out an event was for April 12th. They were rather coy in revealing what was happening but as predicted, they announced the E6 and X7. What could Nokia be showcasing this time around? Note it has been over a year now since a flagship Nokia has been announced. Or as in comments, Anna? 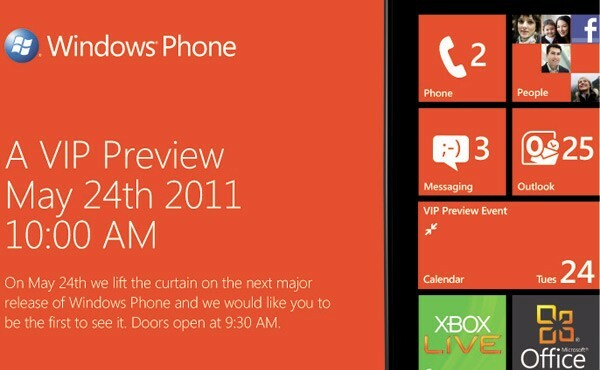 Not necessarily connected, but a week later, May 24th, Microsoft will be showcasing Windows Phone 7.5, Mango, the next major release of Windows Phone. It’s 9:30 AM (what time zone?). Maybe it’s just a massive Pre-Angry Birds party :p.
This thing is not actually due until September though, right? Well, the world supposedly also ends May 21, 2011 so it might not matter. But if not, Engadget are thinking it’s important enough to go Live Blog this event. (Samsung are also doing something on May 24th, no?). Thanks to Adnan for the tip.